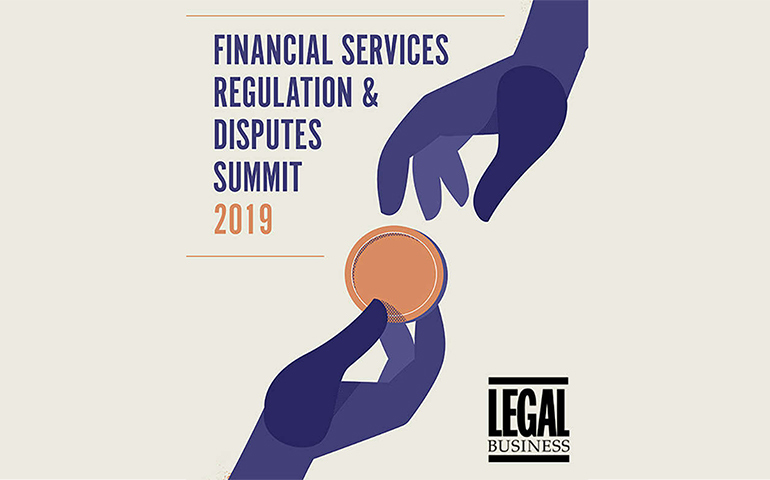 8 February 2019: Robert Coffey joined a panel chaired by Jeremy Cousins QC of Radcliffe Chambers at the Legal Business Financial Services Regulation and Disputes Conference on 7 February. The session subject was complex dispute resolution strategy, and the panel considered which strategies may best be adopted to bring about the best outcome for the client, including how legal objectives may be complemented by commercial, PR, political and funding strategies. Gus Sellitto of Byfield Consultancy and Hugo Marshall of Augusta Ventures were fellow panel members.